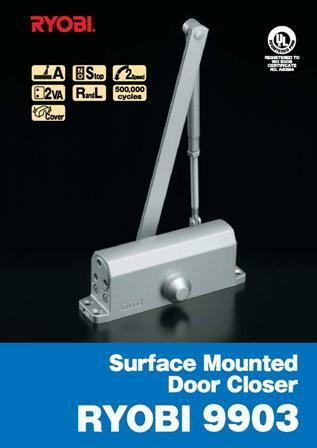 We providing a precision engineered assortment of ryobi door closer. Ryobi door closers are made in japan. Model no.9903 confirms to en1154. suitable for max door width capacity 950mm.